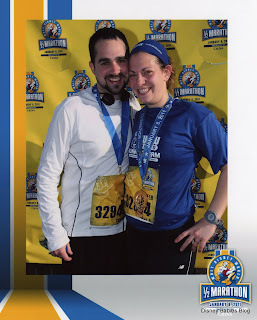 Disney Babies Blog: Running Update! After January's WDW Half Marathon, Adam and I came back extremely motivated to continue running. As I've somehow become one of the "Running people" over at Chip and Co, I've written several articles about my version of training (all from the pro's. I can't come up with this stuff!) and my likes and dislikes, but I don't think I've done much over here. So, now here I am! 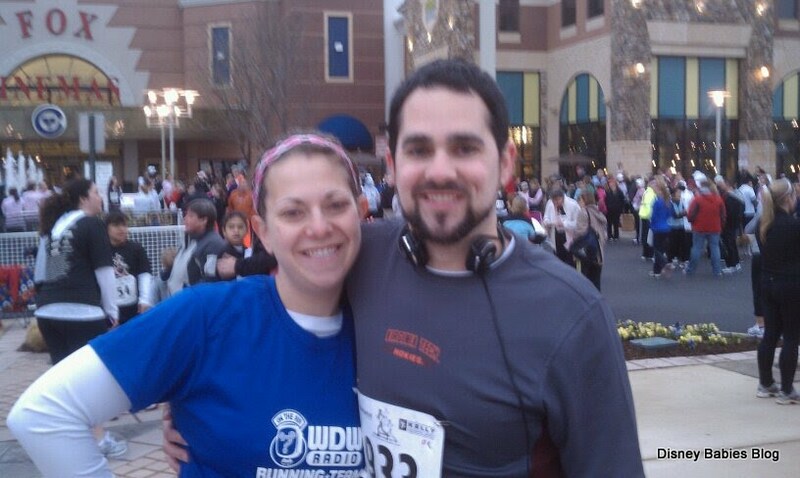 When we came home from WDW, we knew that we would register for the 2012 WDW Half Marathon. With the little one at home, we don't plan to make the time to commit to a full marathon training schedule. That much training isn't possible in our house with our little one. Obviously, many people can do this, but neither of us love running with the running stroller, and even Noah gets bored after about 30 minutes. So, for now, we can both train separately for the halves and be content with that. But, what do we do in between races? We scoured the local running store websites and Active.com to find more local races. In April, we both completed a 10k (6.2 miles) in our town. A much smaller race, we literally ran around a neighborhood twice to complete 6.2 miles. I broke my own personal record completing 6.2 in 1:04 and I haven't come close to that since! 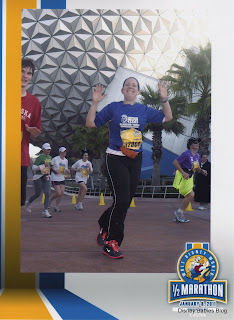 And, as you can probably tell, I represented my Disney side sporting my running team shirt! Now, if allergies don't keep me down (okay, allergies and doctors orders), I'm scheduled to run another half marathon in early June. Again, located in Virginia, this one is routed between a couple of wineries and is guaranteed to be beautiful, but hopefully not too hilly! Post June, I just registered for the annual Army 10 miler (again!) - a nice scenic route from Arlington, VA (starting just beyond the Pentagon Parking Lot) through Washington, D.C. and back down to the Pentagon lot. That should take me right up to the WDW Half Marathon 2012. 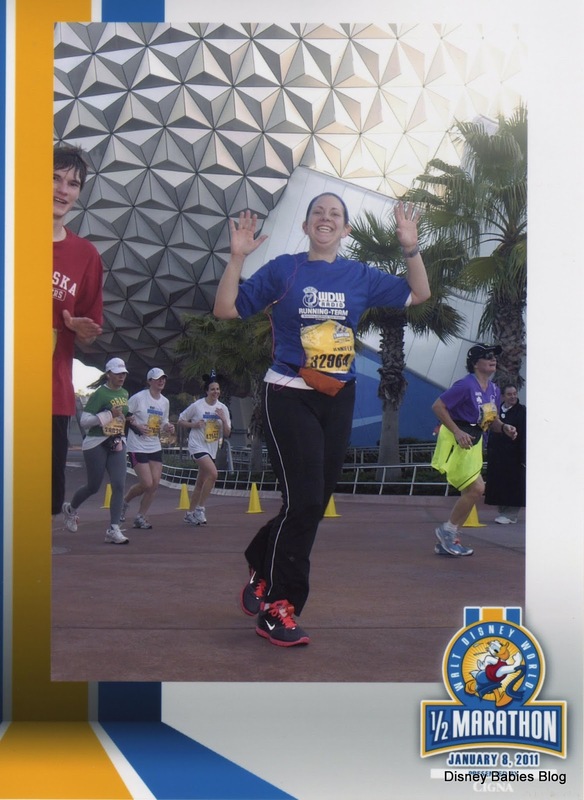 I'm doing the Dopey in January! Can't wait to meet you two at the WDW Radio Team meet-up!! I'm training for the half, but a knee issue has slowed down my progress so far. Of course, I am not letting that stop me! :-) I am still hoping to see you there! @RunningDownaDream - good luck training for all of that! See you race morning!! @Beth - I hope your issues can be figured out!